What is a negative number ? Definition and examples. A negative number is any number less than zero. 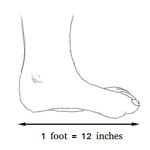 The following numbers are negative numbers. 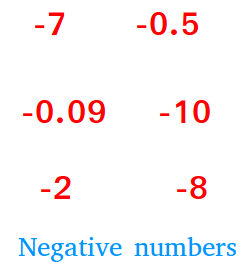 Unlike positive numbers, when a number is negative, you do not have a choice not to write the negative sign. You have to put the negative sign next to it! There are many real-life situations that can be expressed with negative numbers. Here are some examples.